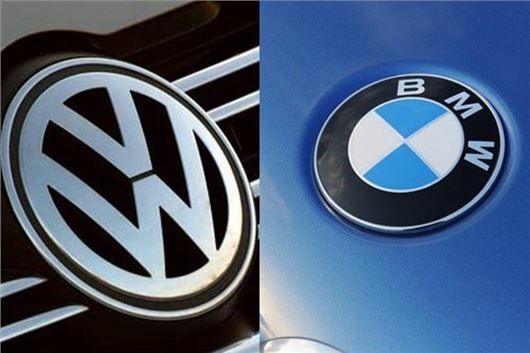 The fallout following the Volkswagen NOx emissions scandal has now spilled beyond the company, with fellow German manufacturer BMW seeing its value plunge today as one of its models was implicated in emissions test cheating. German weekly car magazine Auto Bild revealed this morning that its tests on the X3 xDrive 20d showed it emits NOx at a rate 11 times legally allowed in Europe. The news is further confirmaton that emissions test cheating is both rife and worldwide, after Volkswagen yesterday admitted it had rigged tests in Europe too. BMW’s shares have today dropped by a startling nine percent, while Daimler, Fiat, Peugeot and Renault have all seen their share values drop by between four and seven per cent, as the scandal deepens. The emissions scandal is already shaping into the biggest crisis that the automotive industry has ever faced, with suspicion placed on every major car manufacturer. BMW was one of those quick to distance itself from cheating in emissions tests after Volkswagen admitted doing so in the US, which instantly saw billions wiped from its value - currently €13bn and counting. Reacting to Auto Bild’s revelation today, BMW has reiterated that it does not "manipulate or rig any emissions tests." "We observe the legal requirements in each country and adhere to all local testing requirements. When it comes to our vehicles, there is no difference in the treatment of exhaust emissions whether they are on rollers or on the road," said the company in a statement. To recap, the issue relates to a 'cheat device' fitted to a specific Volkswagen 2.0-litre four-cylinder diesel engine, internally codenamed EA189, and fitted to 11 million vehicles in the US since 2009. The cheat device, fitted between the engine and the exhaust system, detects specific driving patterns so that it can alter the characteristics of the car when a rolling road emissions test is being performed. The device specifically reduces Nitrous oxides emissions (NOx), which are linked to exacerbating and even causing respiratory disease, but doing so increases the car’s fuel consumption. When not in use, the car is more efficient but, it’s been discovered, releases huge amounts of NOx. Volkswagen has already admitted that its other mainstream brands – Skoda, SEAT and Audi – use the engine in question, with a Spanish newspaper today claiming that SEAT has used 500,000 since 2009. It’s believed that a Volkswagen 1.6-litre diesel engine could be using the same system too, though this is yet to be confirmed.